Many neglect to consider the importance of their propeller. The propeller is the final link that connects the horsepower to the water. Quite often, boating enthusiasts neglect to consider the importance of the propeller they have on their boat. The propeller is the final link in the boats drive train. It is the piece of the puzzle that connects the horsepower to the water. Having the correct propeller on a boater’s specific application is like using the correct tires on ones vehicle. An off road Baja racer certainly wouldn’t use slick drag racing tires. Likewise, the quarter mile drag racer doesn’t need 33 inch mudders. The same thought processes apply to picking out the perfect propeller. Diameter can also affect both rpm capabilities and a number of other boat and hull personalities. Many of the diameter choices have been predetermined for the consumer by the propeller manufacturer. In most non-high performance applications, this works quite well. However, fine tuning diameter can greatly improve overall performance. Adding diameter will typically decrease rpm, while reducing diameter will raise the rpm. Diameter adjustments will also change the hulls running attitude. Changing the diameter is not always necessary since the stock diameters can be matched to the type of propeller a person is buying. 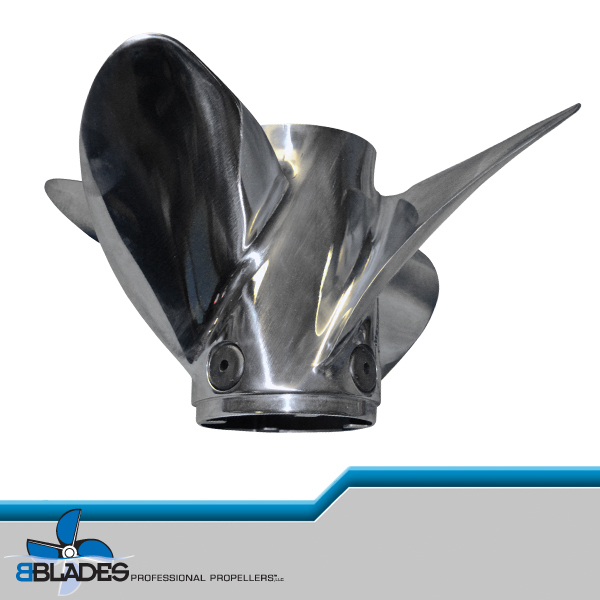 To be more specific, we can look at the basic Bass boat propeller being made available to the general public in 13 ½ inches to 14 3/4 inches. While standard stern drive boats have diameters starting in the 14 inch realm and extending to the 15 ½ inch diameter. Large “go fast” boats with special stern drives can use propeller diameters ranging from 15 inches to 18+ inches. House boats and slow moving non-planning hulls may use diameters well into the 20 and 30 inch areas. 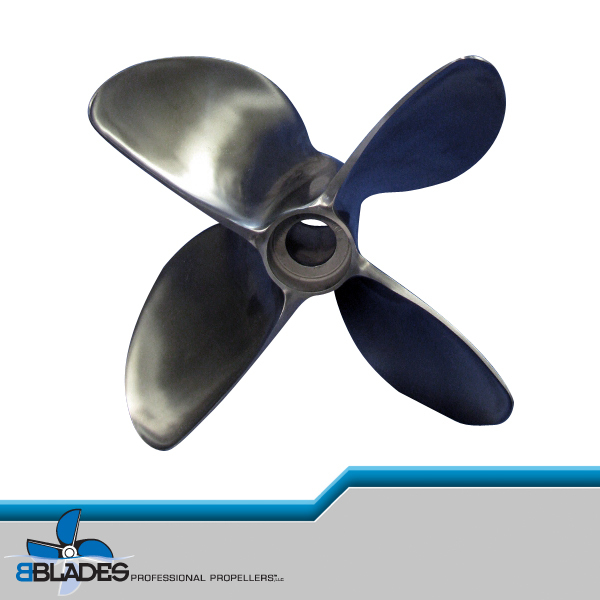 The number of blades on a propeller also affects the consumer’s decision when shopping for a new propeller. In theory, the least amount of blades will offer the best top speeds. The reasoning behind this derives from the fact that more blades create more metal in the water therefore more drag. However, if a boat is running inefficiently, more blades could become a positive since the additional blade area may give the boat better ability to “hook up” and perform better though out the torque band. The particular application the boat is being used in will help the operator to determine the number of blades needed to gain the best results. Picking the right propeller can be confusing. There are many other considerations besides those which we’ve discussed here that can come into play. Speaking to a trained professional is the best way to get the most out of your boat, engine, and propeller set up. Most of the time, a boat will come with some type of propeller or propellers that will suffice to get you from point A to point B. True dialing in of your propellers should start with your dealer and can end with a reputable propeller specific shop or business. The most important starting point is to know the engine or engines capabilities. Prop the boat to run some where within the recommended wide open throttle range. 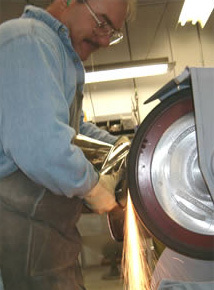 Once this is done, the engine package can not be damaged from improper rpm due to propping. From this point the consumer can decide if he or she wants to take it to the next level of performance.